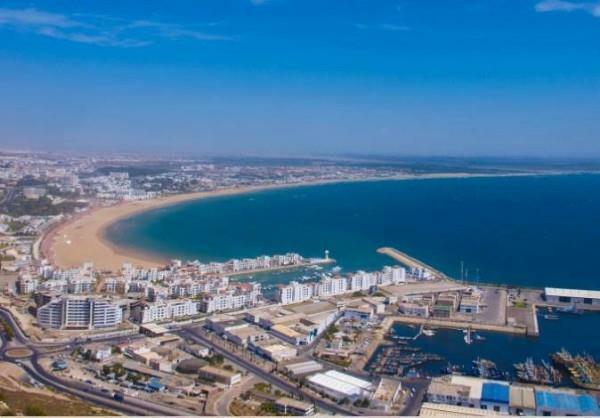 (MENAFN - Morocco World News) Rabat - During a ceremony led by the King Mohammed VI on Sunday, December 29, in Agadir, eight conventions were signed into law, creating 24,000 jobs. Minister of Industry, Trade, Investment, and Digital Economy Moulay Hafid El Alamy stated that the convention were signed 'in partnership with the professional federations, the first of which is generated by the projects signed today by private investors.' The first convention deals with the regional diminution of different ecosystems, such as those of the automobile, leather, naval, chemistry, plastics, building materials and offshoring. The second convention concerns the human resources support training for the 2020 industrial development strategy in the Souss-Massa region. The third convention establishes a City of Innovation in the Souss-Massa region, and promulgates an agreement on development, promotion, marketing, and management of the Souss-Massa Free Zone. The implementation of agro-food industries' development strategies in the Souss-Massa region was the subject of the fifth convention, while the sixth convention covered the financing of the Agribusiness Development Program. The seventh convention establishes a Technopark in the Souss-Massa region. An agreement to support the establishment of a private fund for investment in the Souss-Massa region concludes with a protocol for the realization of 11 industrial investments in the sectors of building materials, plastics, paper and cardboard industries and offshoring. A total of MAD 18 billion has been dedicated to the projects thus far, of which MAD 5 billion will be assigned to the shipbuilding sector and the creation of a free zone, and another MAD 500 million will be allocated to the Industrial and Agricultural Development Fund andindustrial projects in the region. The remaining MAD 500 million will be designated as private sector funds in the Souss-Massa"